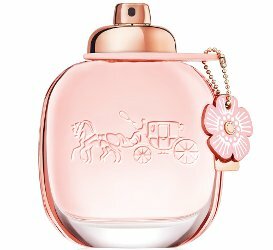 Coach has introduced Coach Floral, a new fragrance for women. Coach Floral is available now at Ulta, in 30 ($58) or 50 ($78) ml. A 90 ml size, not at Ulta at the moment, will be $98. I just realized after seeing this plus the other new fragrance mentioned today (above this) that I have a completely negative evaluative response to perfumes that are pink. Juice, bottle, advertisements: If it’s pink, I say Nope. Yes — and everything is now this shade of Millennial Pink, so you are out of luck!